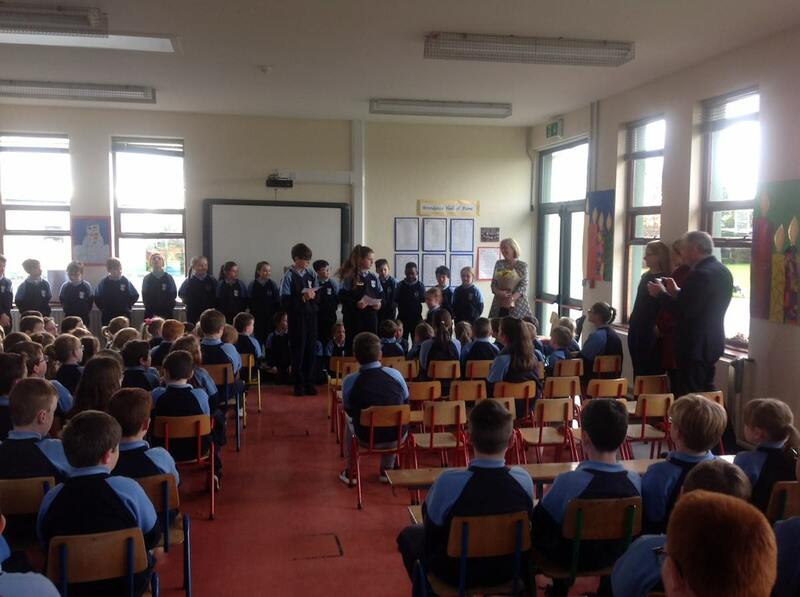 The Day Minister Doherty Came! 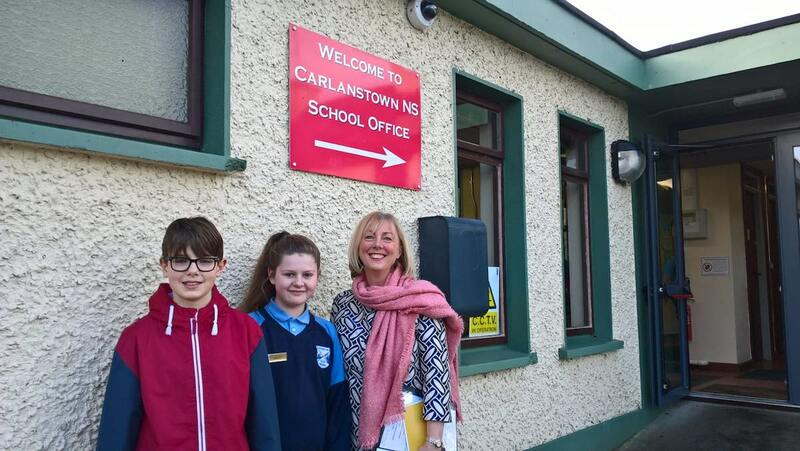 We got December off to a fantastic start with a visit from Minister for Social Protection Ms Regina Doherty on Friday 1st December. She spent almost two hours with the children. 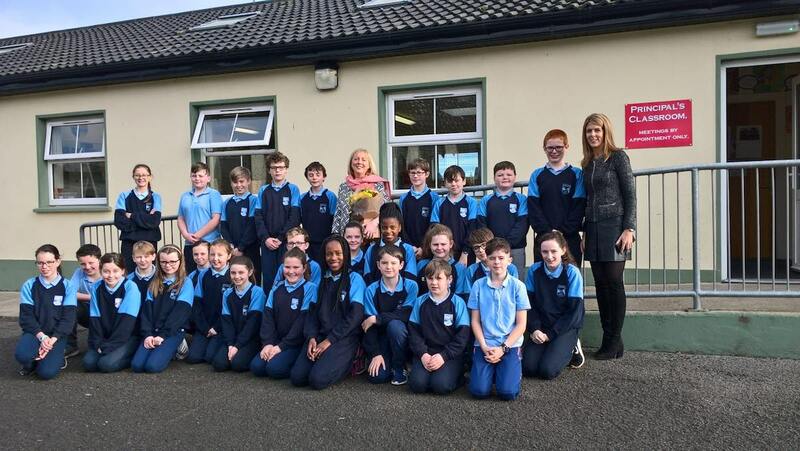 Our December Prefects Martin Curran & Breianna Curtis welcomed the Minister and Shannen Elliott Thompson, Junior Infants, presented her with a bouquet of flowers on behalf of all the children. 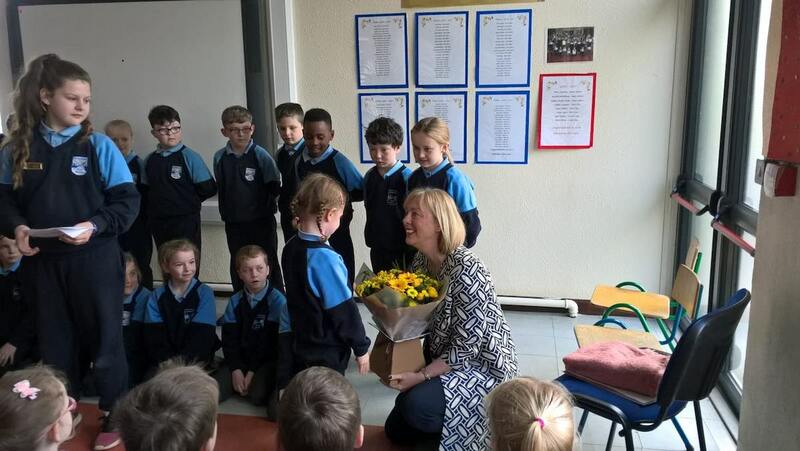 Ms. Bailey's 2nd & 3rd Class sang for Ms. Doherty before she spoke to all the pupils about life as Minister and the work she does. She explained how she became involved in politics, the varying roles she has had in Fine Gael and her ambitions for the future. She gave a very inspiring speech with many of the children saying they would like to become politicians. She also spoke to all the children about the fantastic resource the internet is but also how important it is to stay safe. Ms. Doherty has launched a handbook for parents ' Cyber Safety for Parents & Guardian' which we are sending home to all families It is an excellent resource for all families in this digital age. 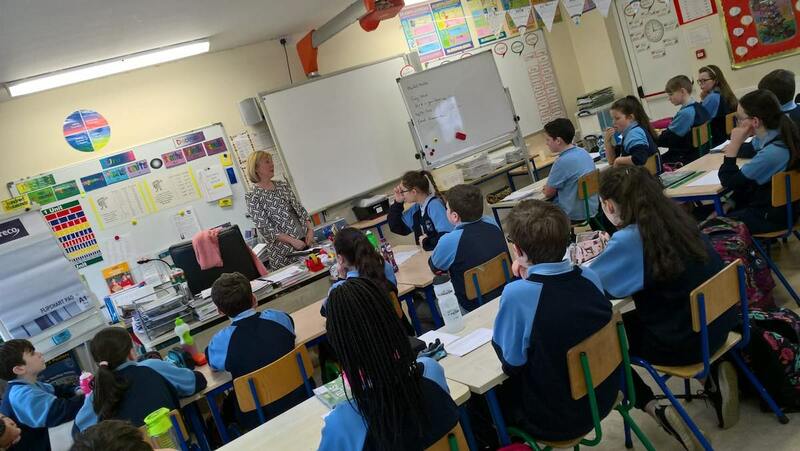 Fifth & Sixth Class had a Q & A session with Ms. Doherty. She answered questions they had on resources in schools for children with special educational needs, the homeless crisis, the proposed wind farm for our area and why she joined Fine Gael and Not Fianna Fáil! 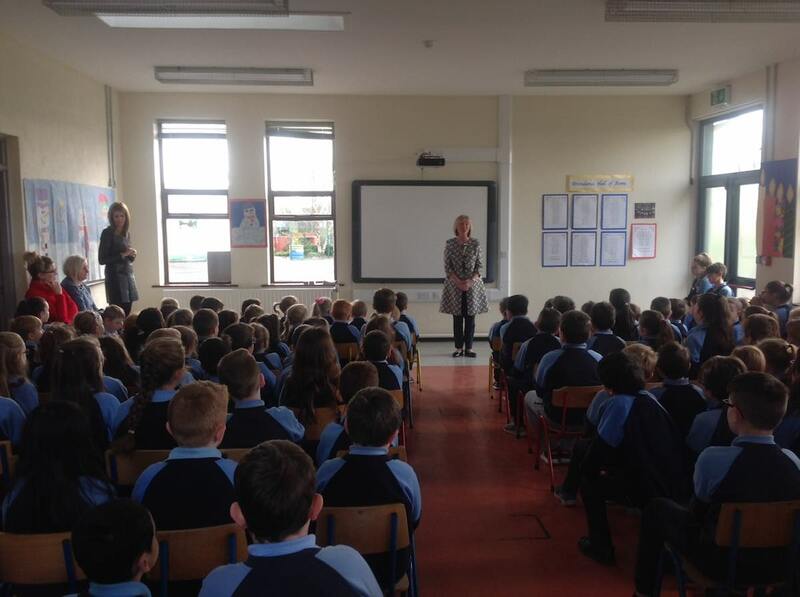 She let them in on her secret that one day she would like to be Taoiseach.